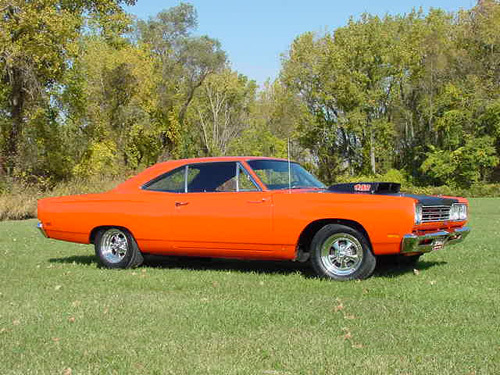 This is my 1969 1/2 Roadrunner. I did a 100% restoration in 2000. Completely original except for wheels. 440 6-BBL, Automatic trans, No frills and runs strong!